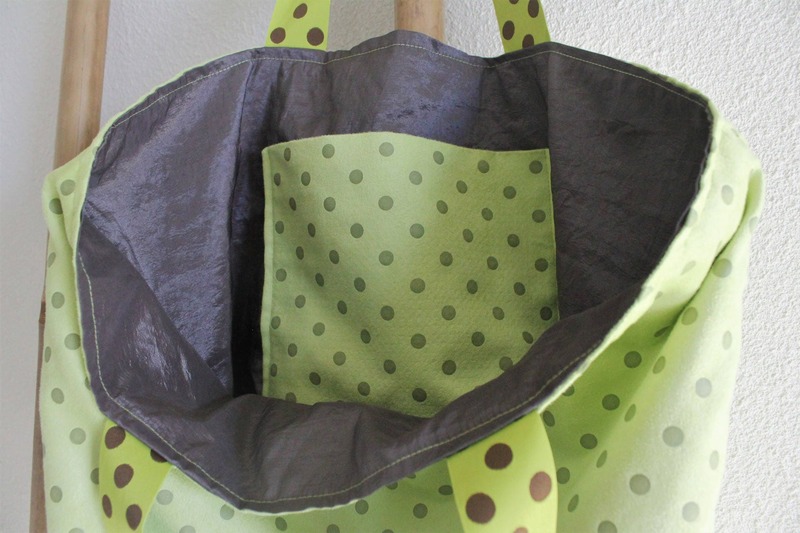 This bag is made in an anise green jersey with brown polka dots. 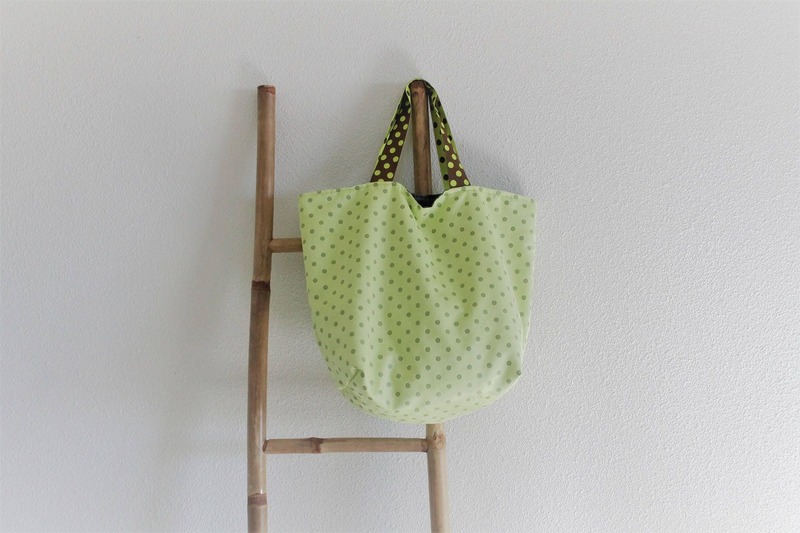 The handles are made of green and brown bicoloured polka dots and measure about 40 cm. 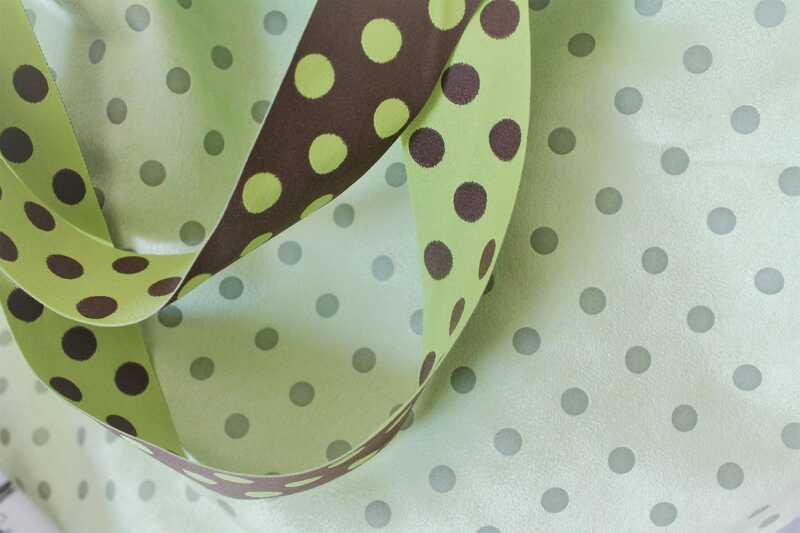 The lining is made in a brown taffeta with an inner pocket, made in the same anise green jersey with brown dots.